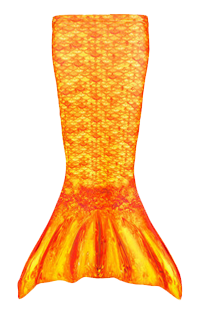 Ignite your passion for the mermaid life with our swimmable mermaid tail of shiny silver white scales. Fin Fun’s Silver Lightning mermaid tail captivates swimmers with shimmering shades of gray and silver that cascade across a field of white into tiny dew drops at the fluke. A sparkly sheen casts a storm of illumination throughout the tail, which glistens in the light as brilliantly as the sun shining down on a rain-covered coastline. 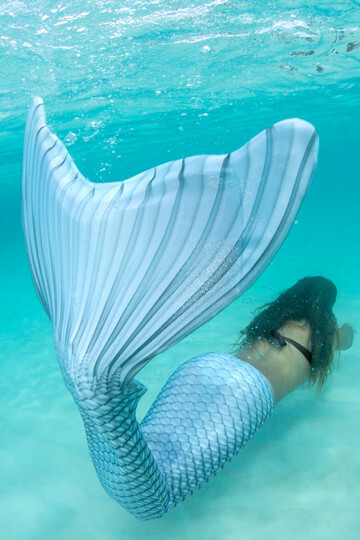 Searching for the best of the best in the realm of fabric mermaid tails? 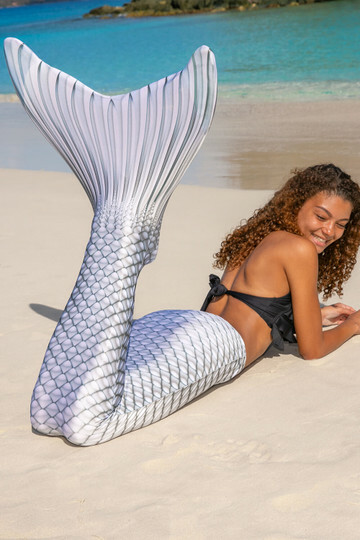 Made of soft swimsuit fabric, Fin Fun’s premium swimmable mermaid tails surpass the rest when it comes to quality, comfort, and safety. Our fade-resistant fabric protects your tail from fading when exposed to the sun, pool, and saltwater elements. 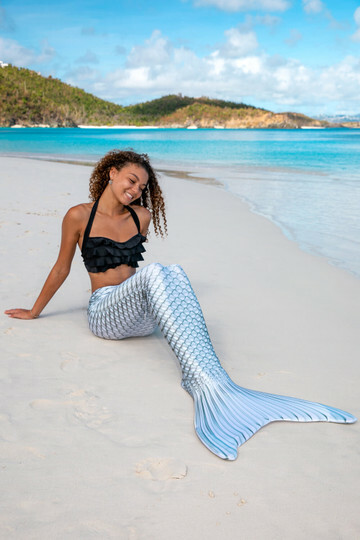 Featuring fabric that stretches four ways, you’ll move through the water as comfortably and effortlessly as a REAL mermaid. 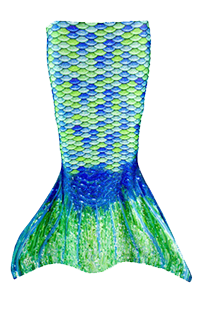 Don’t settle for second best—choose the #1 selling mermaid tail brand from Fin Fun!